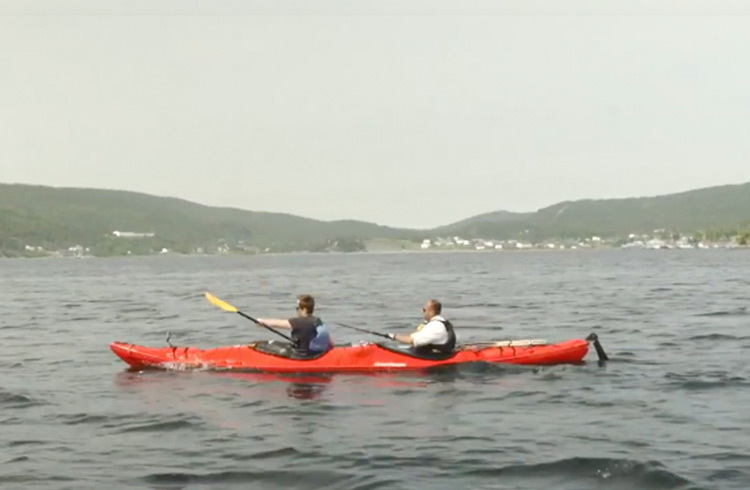 Discover the serenity of Canada’s Newfoundland with Will McCloy, as he sea kayaks through the fascinating caves and around the cliffs of Cape Broyle, carefully avoiding the whales. On a sea kayaking adventure, watch as Will makes a pit stop to sample the taste of a fresh sea urchin, and carefully tries to avoid the whales. Surrounded by cliffs, crystal-clear water and rushing waterfalls, Will discovers the variety of nature’s elements in Cape Broyle’s wilderness. Despite the comforts of glamping in Gros Morne National Park, Will is surrounded by Canada’s extraordinary scenery. Go on a rare cod fishing adventure to Gros Morne National Park in Newfoundland, Canada with Will McCloy. Travel to Newfoundland in Canada with Will McCloy where he discovers the ultimate jet lag cure - hiking.